Opinions of using the Cruise Control, especially in hilly terrain, varies. For flat terrain I always use it. Where does CanZE come in? 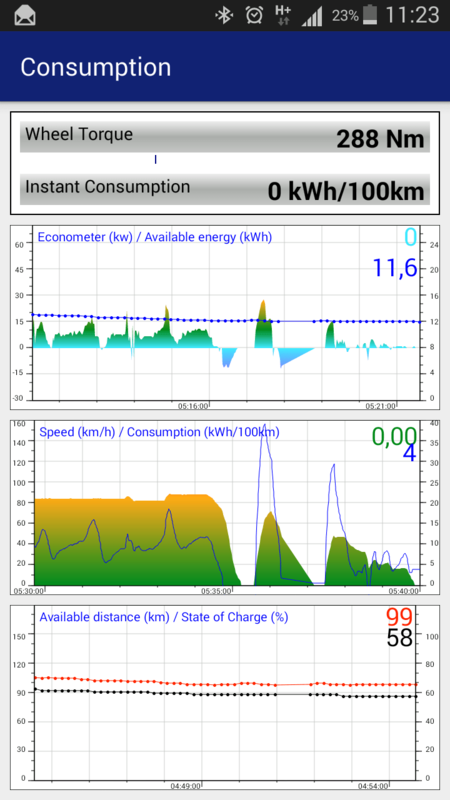 Well, for me, I keep an eye on the kWh/100km line in the middle graph of the Consumption screen. I noticed that after a while a second feedback mechanism emerged: the bottom graph shows a black line for the SOC in percentages, and a red line for the estimated range in kms (on a scale from 0 – 150 km). I really try to keep the red line above the black one, giving me a long-time average of over 150 km per full charge. As you can see, 170 km’s is doable. And it really pays off. Look what I saw yesterday evening! – City trip: absolutely use the coasting. This was my biggest learning in the recent year. 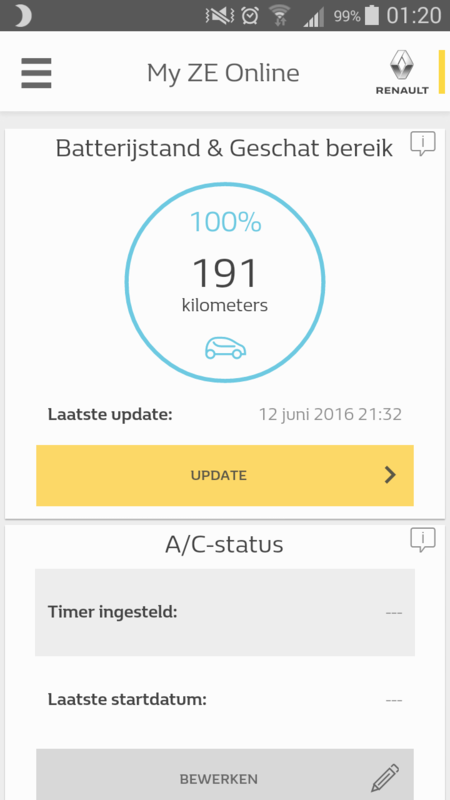 Most of my km’s in the city I drive with 0 kw! I only accelerate to 50km/h for the first 100 meters and then immediately keep the accelerator to 0kw and let the car roll to the next traffic light or crossing. Keep up the good work on Canze! Also see http://renault-zoe.forumpro.fr/t8518-utiliser-le-moteur-de-la-zoe-dans-sa-meilleure-plage-de-rendement, where some try to consume less by avoiding to use lesser yield of low power (ex 5kW), and instead accelerate more then stay at 0kW for a while (that’s yo-yo driving! ).